There are a plethora of truck accessories on the market. Some can be crucial in a specific situation should it occur, while others can make everyday operations a little easier. Besides cost vs. benefit, there are other things to consider when looking at accessories. For example, is this accessory allowed in my country? If crossing borders, are there accessories that are mandatory in some countries? Human night vision declines with age. It is such a slow process that many people don’t realize that they are gradually losing their night vision. This is especially true for drivers from the age of 50 on. Mounted extra lights will increase safety when driving at night. If you must stop at night to check or fix something, you hopefully have a torch in the cab. But is your torch the optimal working light? With a strong LED head torch you will have both hands free and have your work area perfectly lit. Besides adding to the look of the truck, these simple accessories add to fuel economy. By their improving the truck’s aerodynamics, fuel consumption can be reduced – many times up to some 10 %. 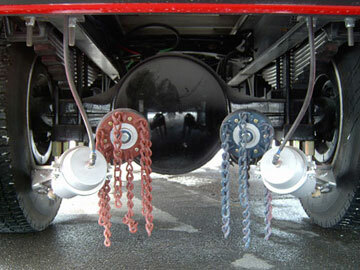 For trucks towing a full or centre-axle trailer coupling, accessories can improve driver’s comfort and safety as well as reducing repair and maintenance costs. Depending on the mechanical principle of the coupling, some could be quite heavy to handle. With an air assistance device opening and closing of the coupling, the driver saves both time and his back. 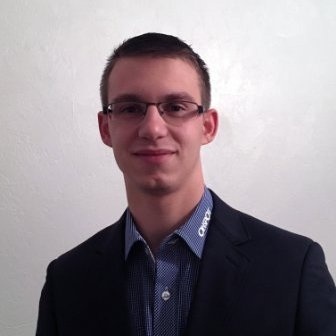 Smart devices can both clean and lubricate the coupling mechanism automatically. By this, the coupling is always in perfect condition, reducing the cost of service and repair. This is quite convenient for the driver since he no longer has to do the dirty job of cleaning and lubricating manually. For maximum convenience, time-saving, and driver’s safety, automatic coupling could be the ultimate choice. For the driver who does many couplings a day, coupling without even leaving the cab will save time and effort. 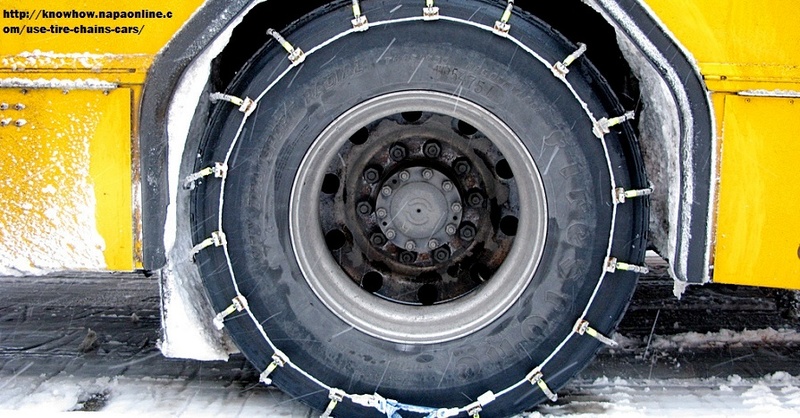 Snow chains (and a shovel!) could come in handy in situations when road grip is lost. Actually, in some countries, carrying snow chains is mandatory in winter time and the chains must be shown upon request from traffic police – even if roads are dry. 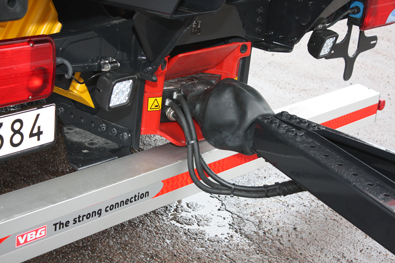 Automatic snow chains like Onspot, may well be the ultimate convenience for increasing traction. Just press a button and the chains are engaged or disengaged. The automatic snow chains are visible, engaged or not, so you won’t be stopped for control of snow chains. Mounting a video camera in the back will increase driver’s visibility. There are many options in the market and video systems range from basic to advanced and feature-stuffed. Irrespective of features, a back camera will improve both safety and convenience when reversing. When considering accessories, you should always look at the cost-benefit ratio. Some accessories appeal to the gadget-minded and you could definitely live without them. 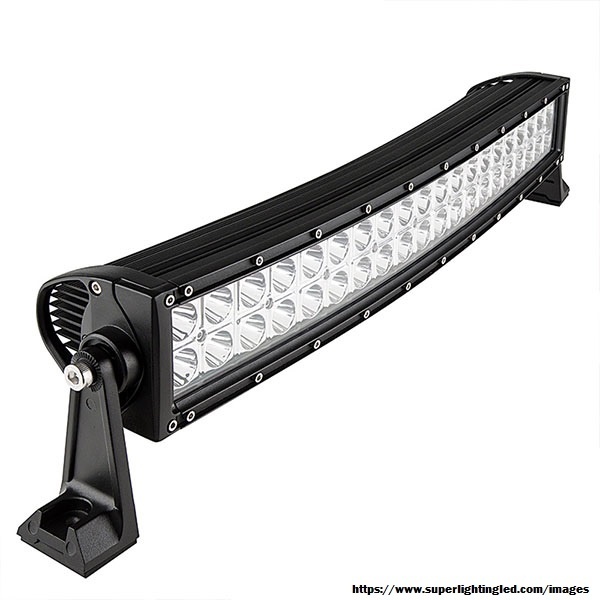 However, some accessories that seemingly improve convenience actually improves safety – and safety is a benefit that can prove to be priceless.